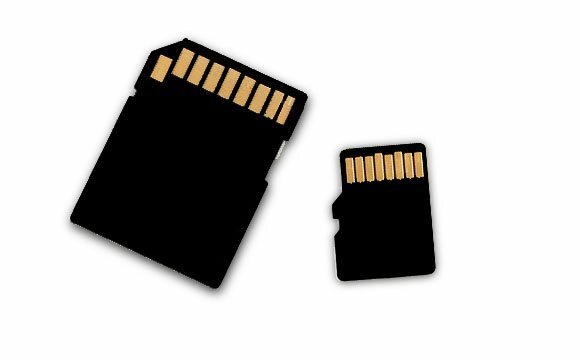 An SD(Secure Digital) Card is a digital storage device. It’s often used in portable devices like digital camera, cell phone, etc. Sometimes, you may want to delete all the stuff on your SD card as you don’t need them any more and want to put more new things into it. In this case, you can format it to earn space back. 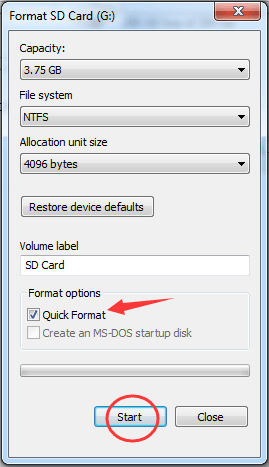 Here in this guide, we are going to tell you the easy way to format SD card on Windows OS(operating system). Just go on with the following steps. 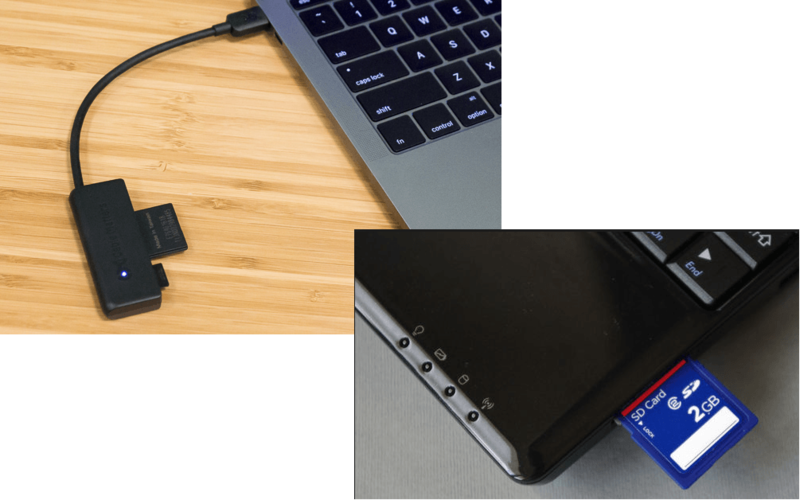 Plug your SD card into your computer either directly on the PC’s console or via a memory card adapter attached to a USB port. Then Windows instantly recognizes your SD card and mounts it into system. 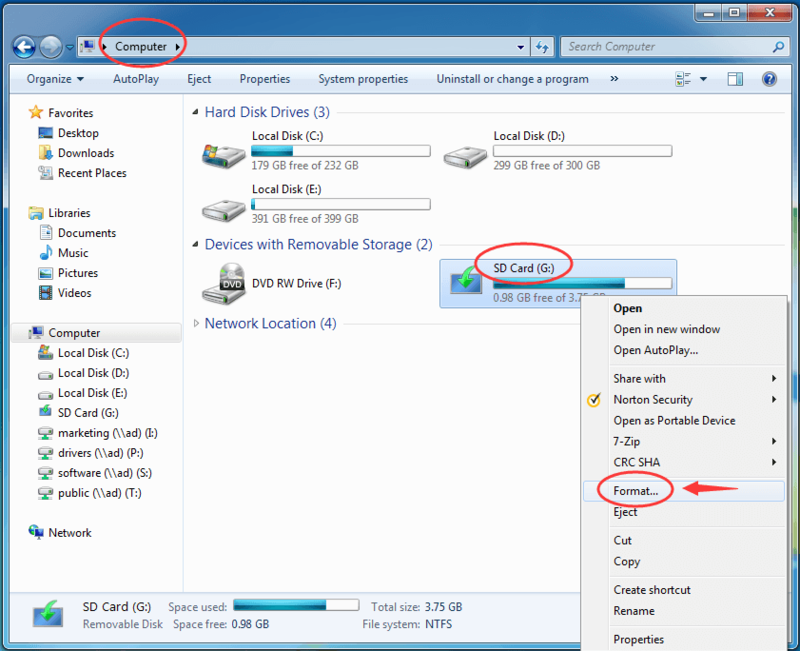 Find your SD card and right-click on it. On Format window, you can choose to tick on Quick Format to save time. Click OK to confirm the performance. Just wait a moment for system to complete formatting. Click OK when it done and close Format window. Now you have your SD card with its original full space.